"The Staff were phenomenal and friendly. I came in for my wisdom and premolar extraction and cavity filling. Dr. Doan and his staff reassured that everything will be fine. I was afraid of the pain that comes with wisdom removal and surprisingly the whole procedure was pain free. The office is clean and Dr. Doan was very professional. They also gave me a post-operative instructions which was very helpful." 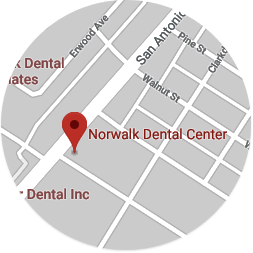 "First time visiting this dentist office and Im glad I have checked in here. I believe Im making the right choice Yadira is very welcoming. I loves how she knows her clients coming in. Employees are really Nice and Helpful. It was a fast check up to see what I needed done. They have great customer service and know how to treat their customers." "First time here, and had a great experience! I got lucky with my crazy schedule and was able to be seen as a first time patient for a dental exam, X-rays included. A true gem in the little city of Norwalk. "